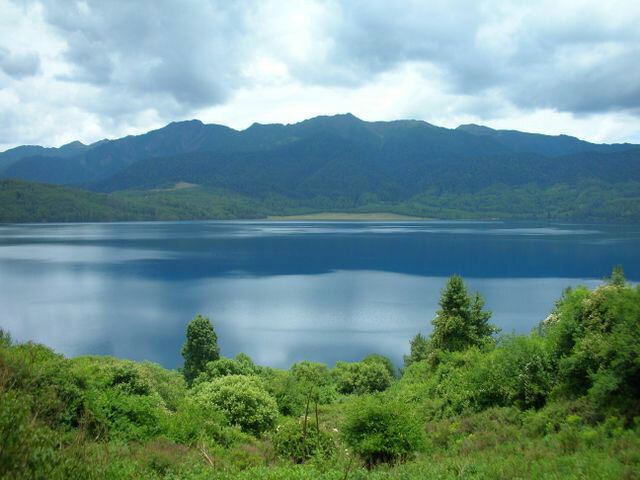 This trek through the remote wilderness of western Nepal to visit Rara Lake, Nepal’s largest at 16km2, offers a superb experience of nature. Beginning the hike from the mountain airstrip at Jumla the trek passes through green countryside, providing glimpses of a culture and scenery quite different from that found elsewhere in Nepal, and leads to Rara Lake National Park. 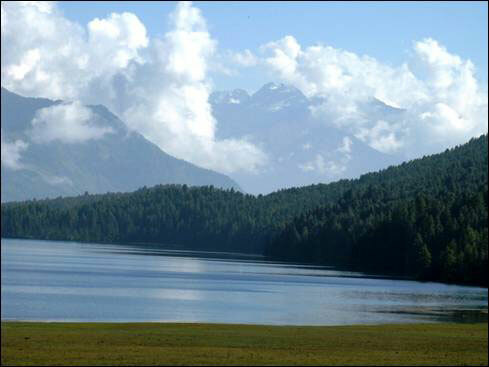 This beautiful high altitude lake is surrounded by Himalayan meadows and forests of pine, juniper and spruce, whilst in the background you can view the magnificent snow-capped peaks of the high Himalayas. 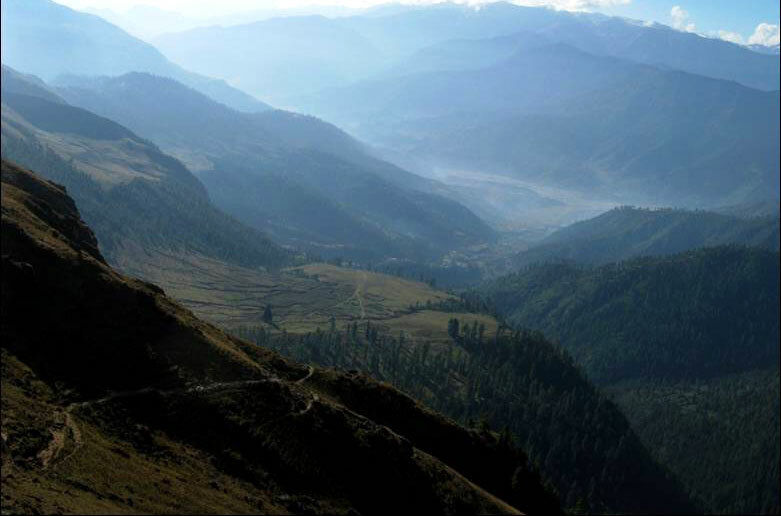 The entire route is ‘off the beaten track’ and involves trekking across Danphya Langa Pass at 3,720m on the way to Rara Lake and two ridges at about 3,500m when hiking back. 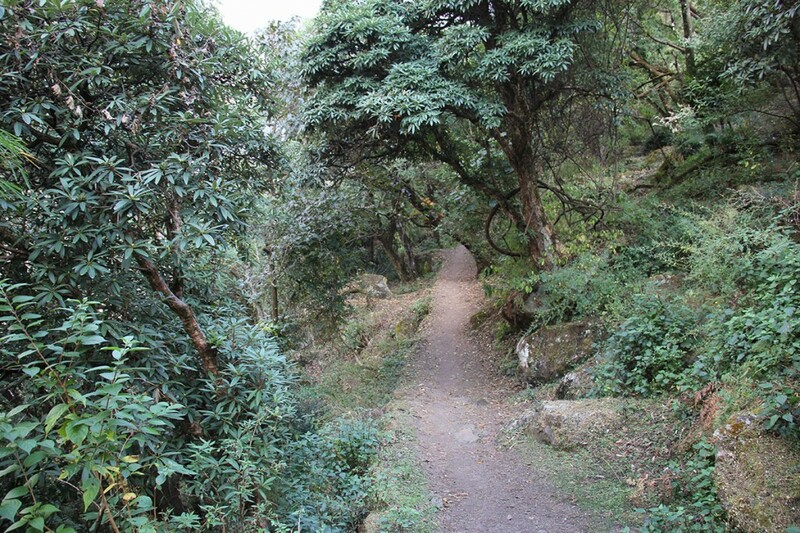 Though this trek never reaches any great altitude it does involve a lot of up and down hiking. Nevertheless any reasonably fit person can do this camping trek anytime from March to October. 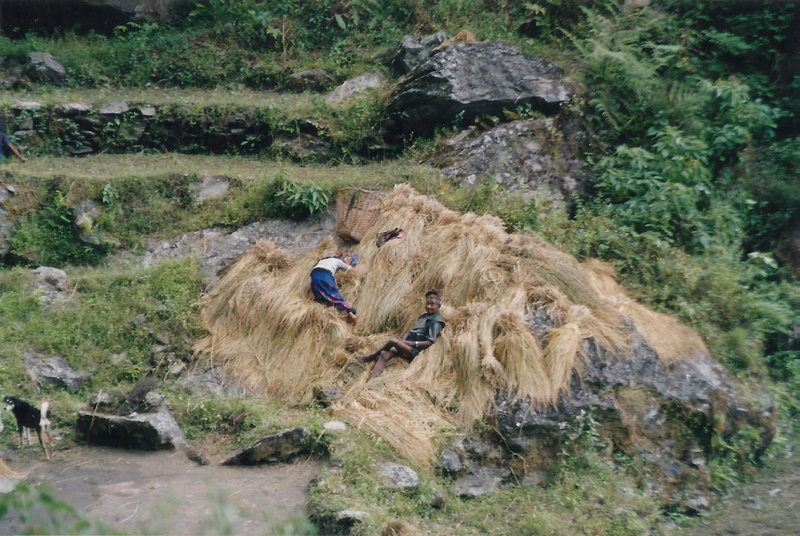 The trek can be done during the monsoon (June to September) as it sits in the Annapurna/Dhaulagiri rain shadow and gets very little of the rain, though it does get a bit cold from November to February. It’s ideal for those looking for wilderness, nature and solitude. 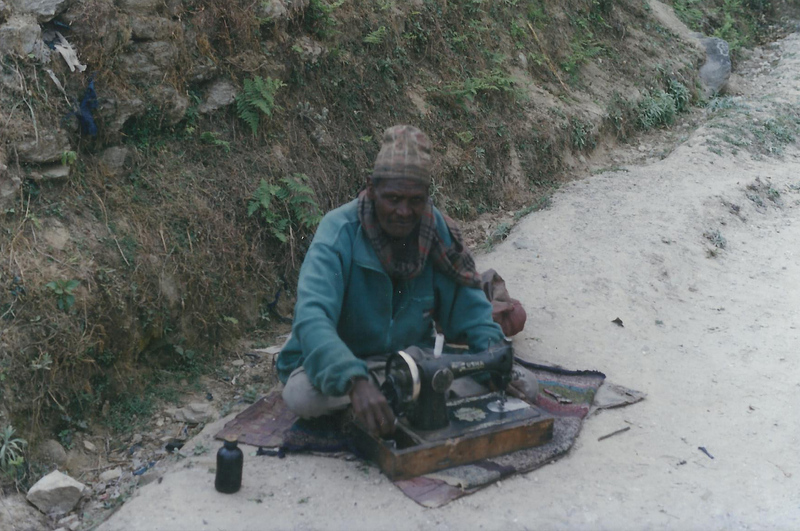 This trek can be done staying in tea-houses, but this is not a touristy place and accommodation facilities are basic, a camping trek is recommended. 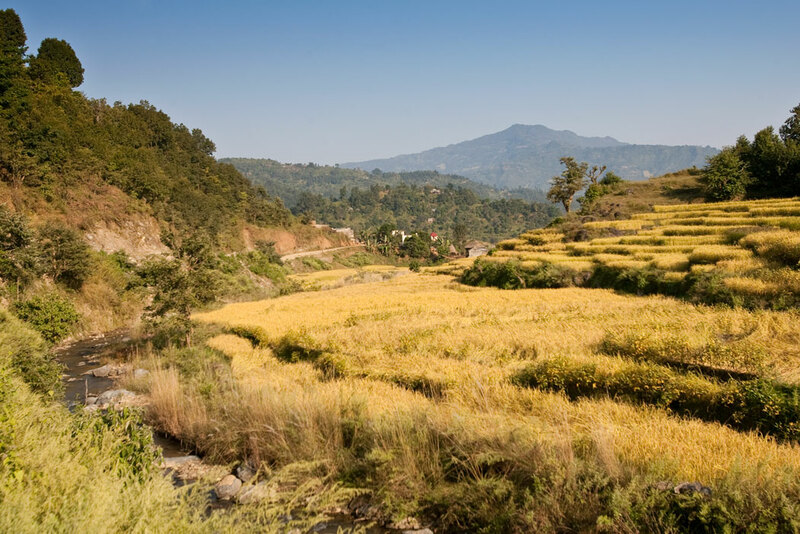 Day 1 Kathmandu to Nepalgunj Your trekking guide will arrive and, after breakfast, we fly to the Terai (plains) city of Nepalgunj, a city that feels much more Indian than Nepali. Take a rickshaw or walk through its crowded city centre and feel the hustle and bustle of its bazaar. Bageshwori Temple is a major Hindu temple. Day 2 Nepalgunj via Jumla to Charya Chaur (3,000m) We fly to Jumla and trek to Charya Chaur, a beautiful meadow set amongst pine trees. 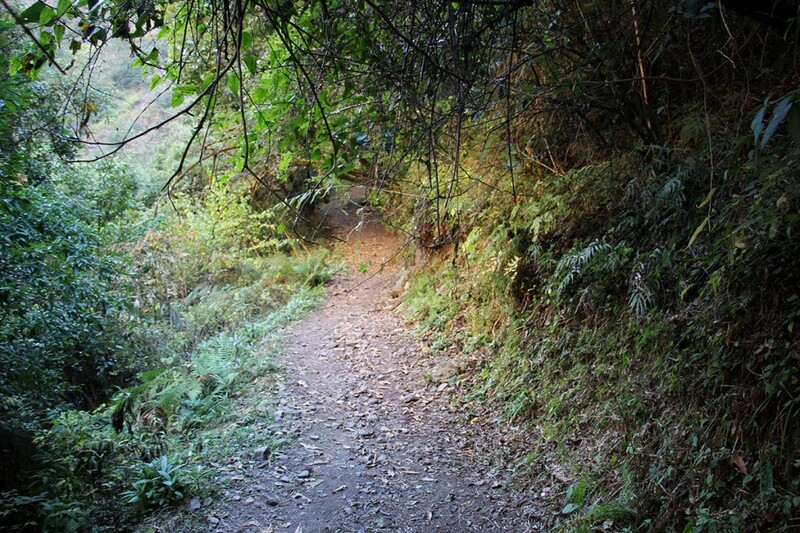 (3 hours trekking). Day 3 Charya Chaur via Danphya Langa (3,720m) to Bumri (2,500m) The trek becomes steeper as we hike up to the Danphya Langa Pass where we will get views of Patrasi Himal (6,860m) and Jagdula Himal (5,785m). 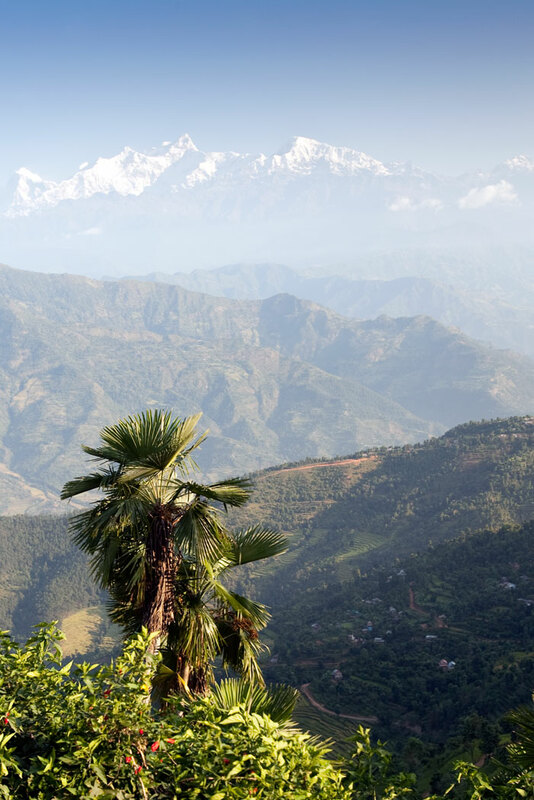 We trek through forests of spruce, birches, walnuts, bamboo and rhododendrons, periodically emerging into idyllic clearings and hanging valleys and we may even spot the Nepali national bird, the colourful Himalayan monal. 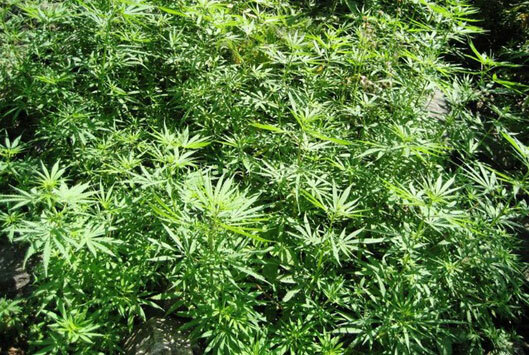 We then trek down to cross the Sinja Khola (river) and hike along it downstream through potato and wheat fields before camping by the Lah Gad stream just below the village of Bumri and its adjacent marijuana fields. (5 hour trek). Day 4 Bumri to Bulbhule (3,130m) We trek up past Bumri, hike over a ridge into a side valley, drop to cross a stream and then trek up to Bhara, a Tibetan style village amidst wheat fields. From here we hike up to a perfect camping place near Bulbhule with a bubbling spring and shady pines. (4 hour trek). Day 5 Bulbhule to Rara Lake (3,060m) We continue to gently trek up to an assortment of chortens, cairns and prayer flags at Ghurchi Lagna, a 3,450m pass. 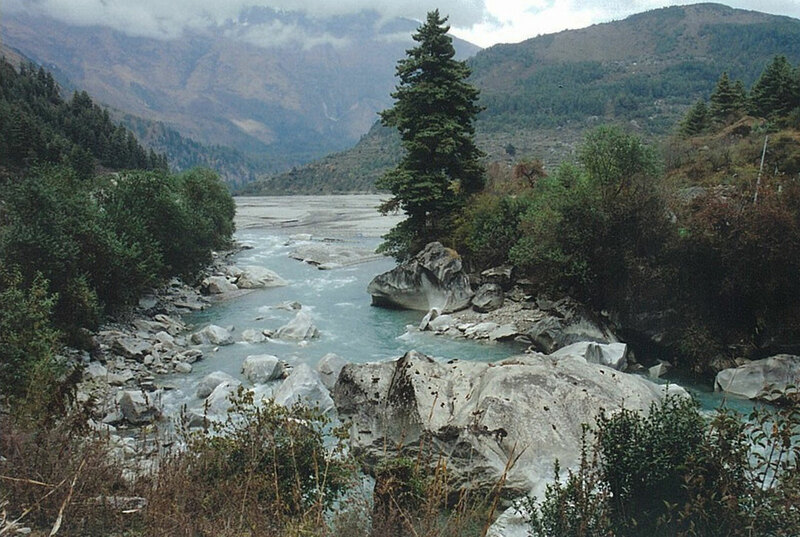 From here there are views of the Mugu Karnali Khola and distant snowy peaks on the Tibetan border. 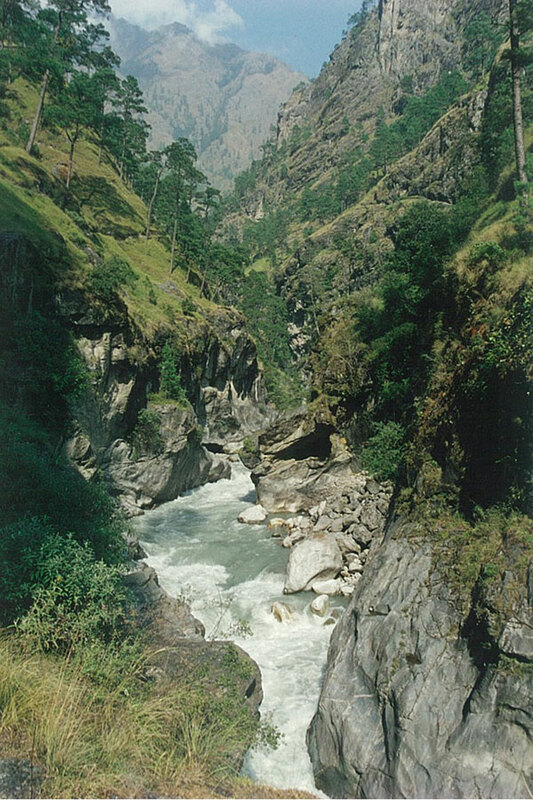 The trek now follows the trade route to Mugu through the Mandu Valley dropping precipitously through spruce forests to 2,900m. 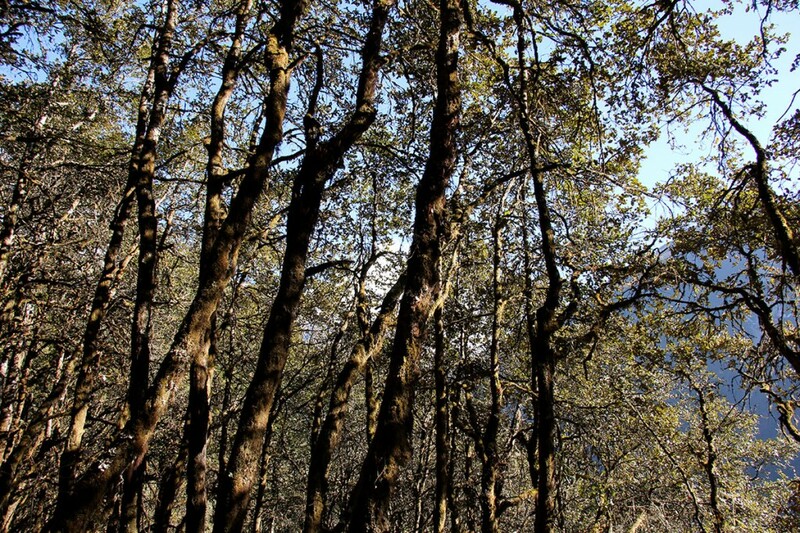 Here we take an inconspicuous left fork, then hike through the pine forests before trekking down to the Jhyari Khola at 2,400m and hiking on to Dhotu. 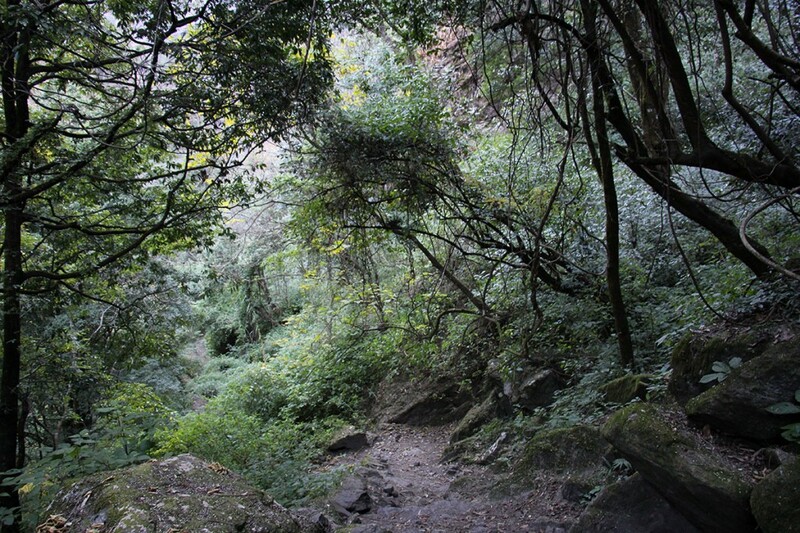 We then trek up to the Thakuri village of Jhyari set amongst a picturesque grove of cedars. We continue to trek up through cedar forests until we reach a large meadow on a ridge (3,050m) with our first views of Rara Lake. We will now take about 2 hours to trek down and hike round the lake to the campsite. (7 hour trek). 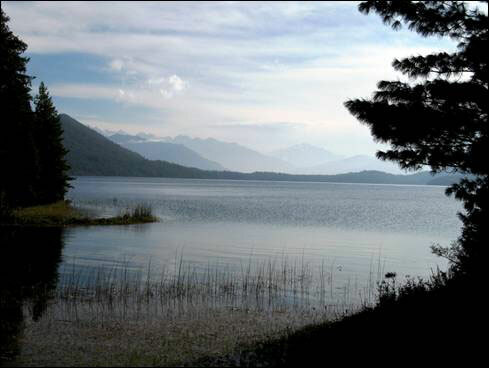 Days 6-7 Rest Days at Rara We have 2 days to explore this stunningly beautiful area. 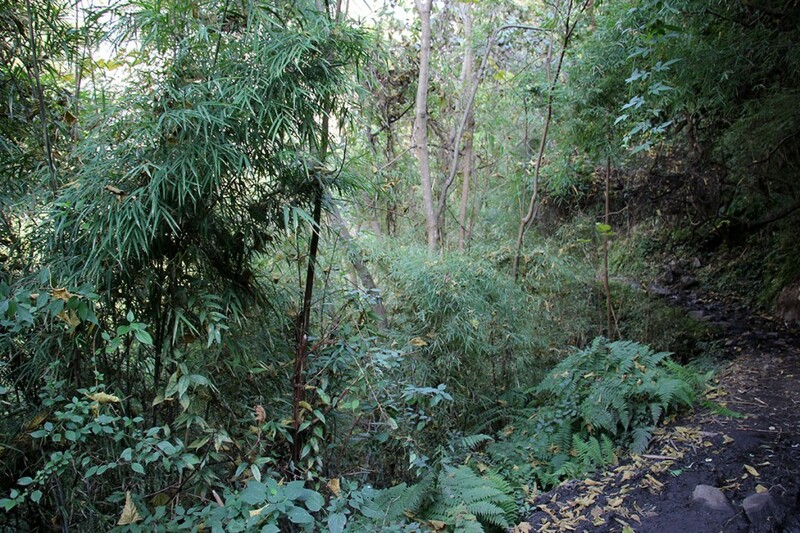 With no (domesticated) grazing animals allowed in the park the woods have reverted to their natural state and are alive with birds and rhesus and langur monkeys. 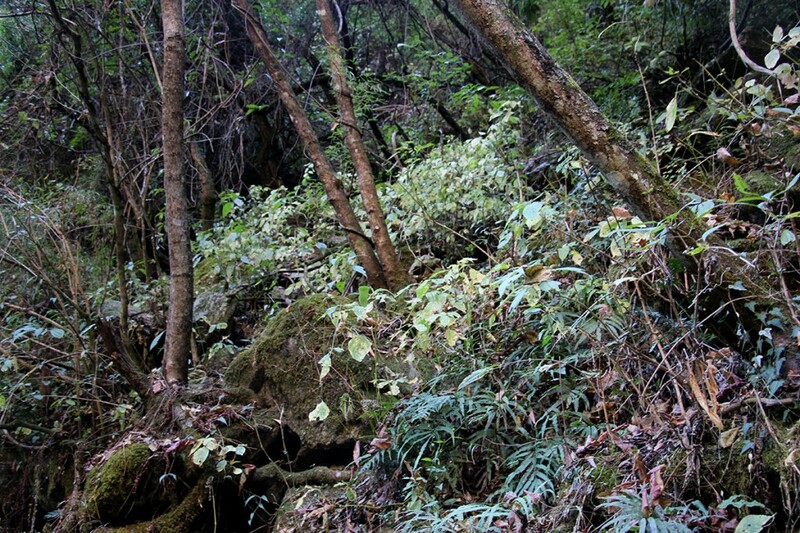 We might also spot red panda, red bear, musk deer, Himalayan tahr, serow, goral and wild boar. At the lake we will see otters and the lake itself is an important site for migratory waterfowl. A circumvention of the lake, for which a 13km path has conveniently been built, is highly recommended. 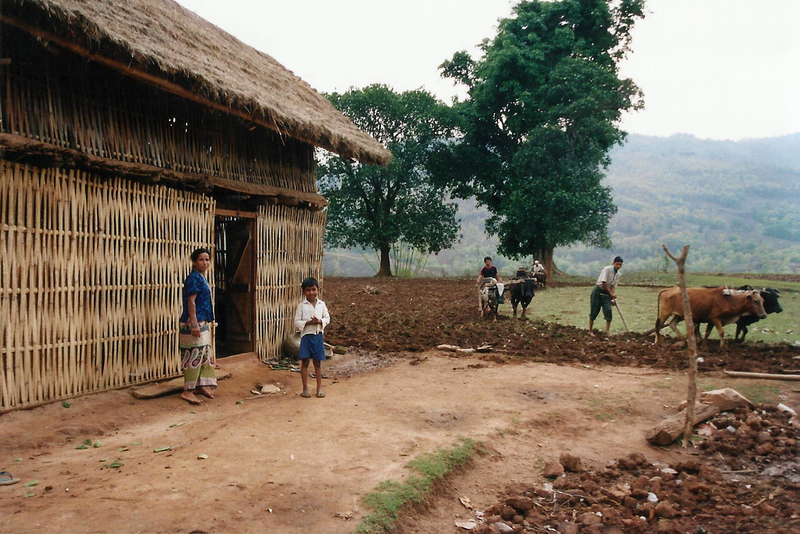 Explore the now deserted villages of Rara and Chapra with their overgrown temples. Day 8 Rara Lake to Gorosingha (3,050m) Unfortunately we must leave this paradise and trek on. 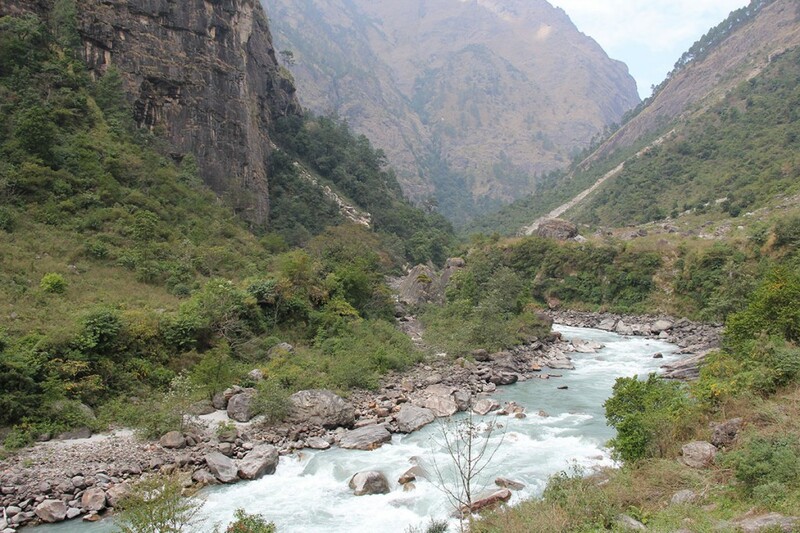 We hike along the Nisa Khola before trekking up a hill through pine, spruce and rhododendron forests. We then hike cross a meadow to reach a ridge at 3,660m and from here we can look back for a last view of Rara Lake. 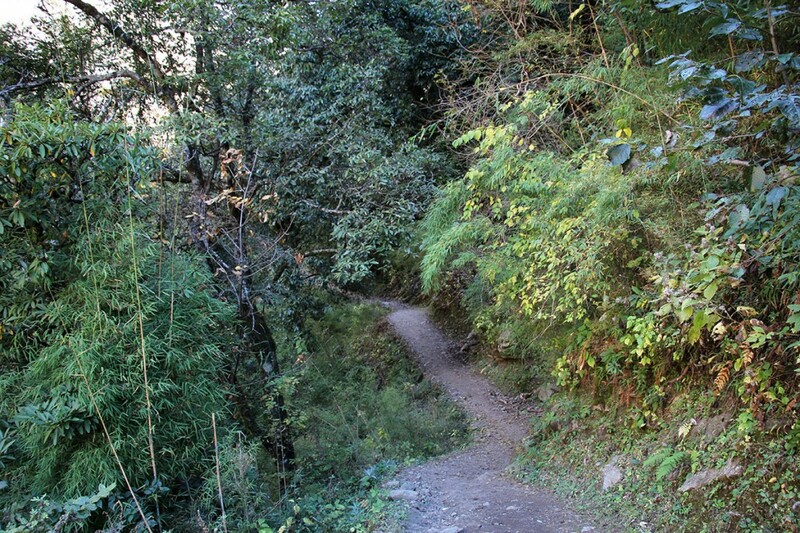 The trek then skirts the head of the valley to the crest at Ghurchi Mara (3,720). 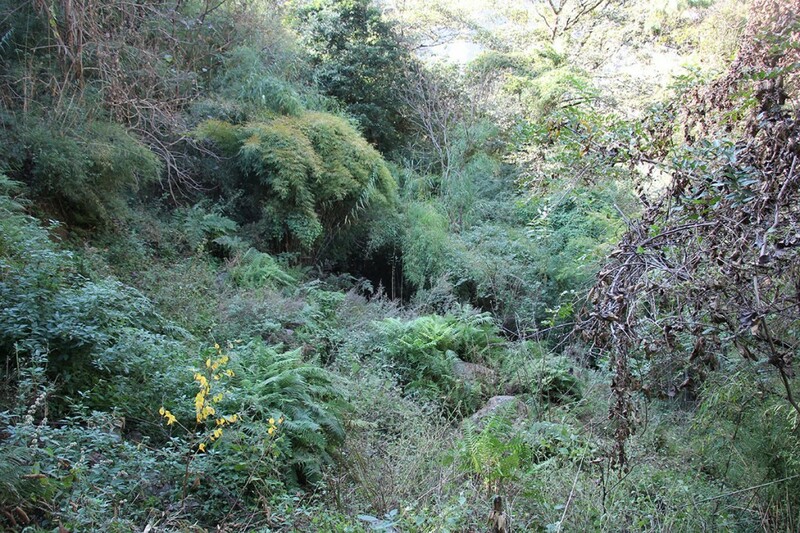 There is now a choice of 2 treks, either short and steep or long and engaging, we shall hike the latter. 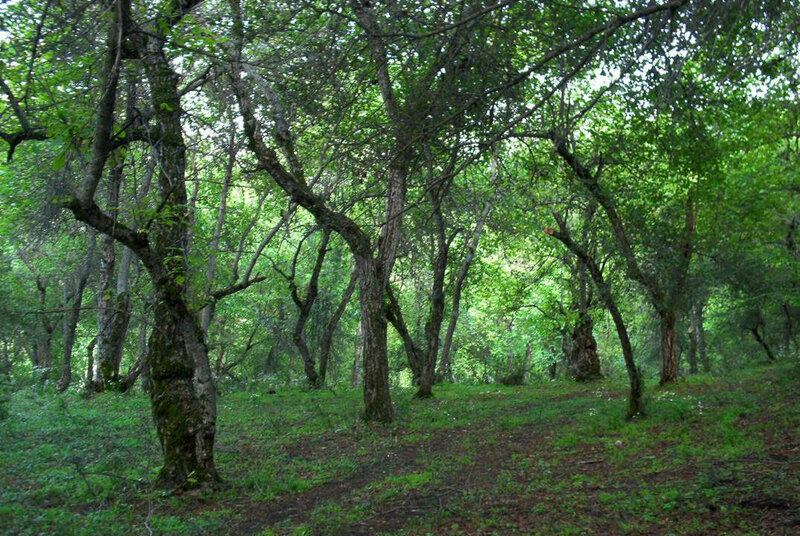 We trek down into the Ghatta Valley toward Gorosingha, where there are several camp sites in a lovely grassy valley. (5 hour trek). Day 9 Gorosingha to Sinja (2,440m) We trek along the Ghatta Khola downstream past Botan and then hike along the Sinja Khola through a more densely populated area to the historic village of Sinja. (5 hour trek). 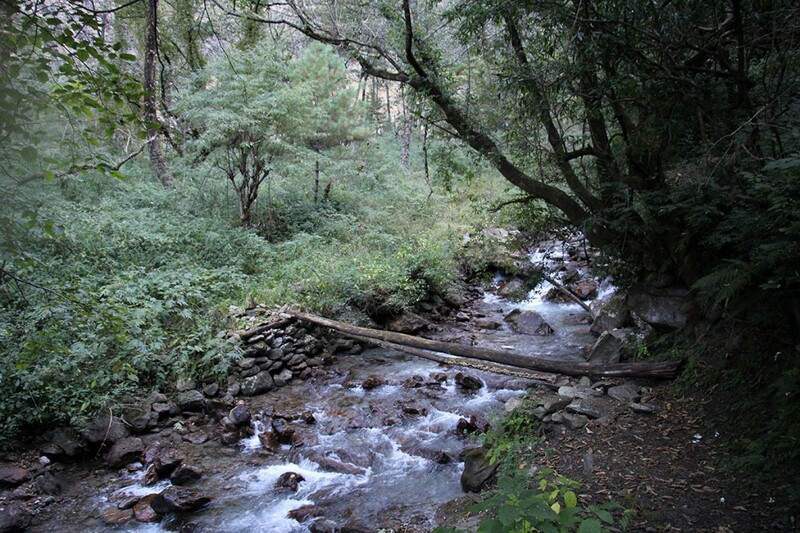 Day 10 Sinja to Jaljala Chaur (3,270m) We cross the Sinja Khola and trek up the Dhobi Khola across a series of log bridges and through forests of pines, birches and oaks interspersed with scattered houses and barley and corn fields. From Chala Chaur, a meadow at 2,900m, the trek climbs steeply to Jaljala Chaur, a huge meadow full of grazing horses. (6 hour trek). Day 11 Jaljala Chaur to Jumla (2,370) We trek up through another meadow just below the ridge at 3,510m. 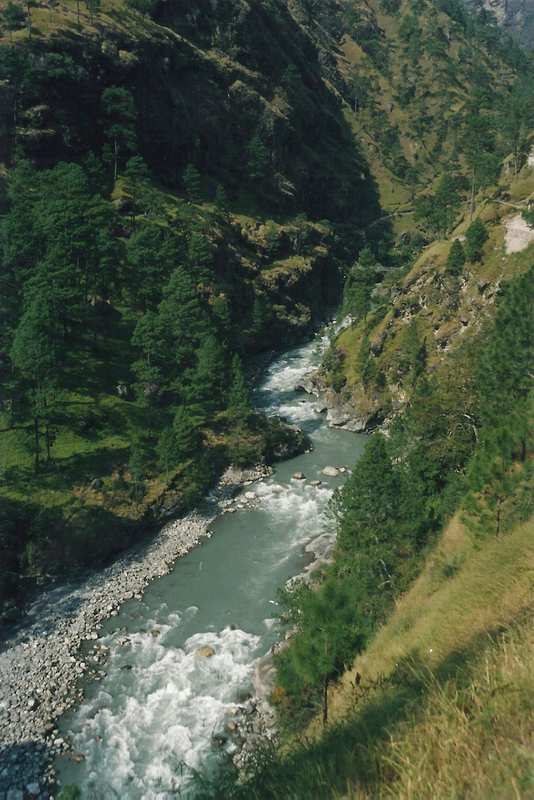 We hike round the head of the valley and eventually rejoin our trek in at Charya Chaur. 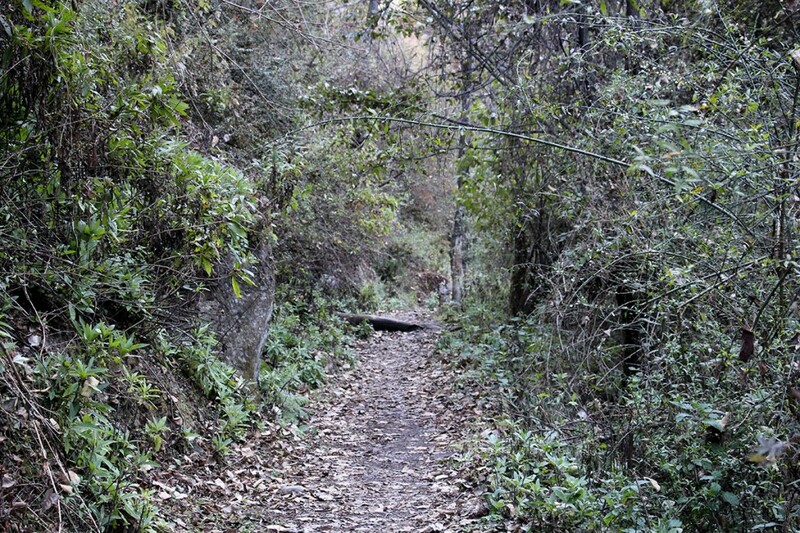 We then hike back down to Jumla. (4 hour trek). Day 12 Jumla to Kathmandu We fly back via Nepalgunj to Kathmandu.We hope you’ve had a great trek, had some adventures, tightened your belt a few notches and look forward to trekking with you again on your return to Nepal. 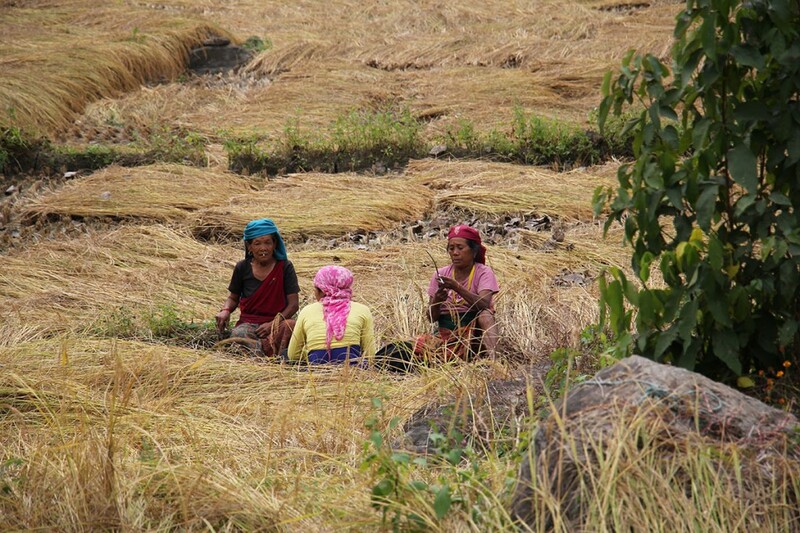 Price US$ 1,600 for 4+, US$ 1,990 for 2, plus accommodation in Kathmandu. Price includes Airport pick-up and drop-off. 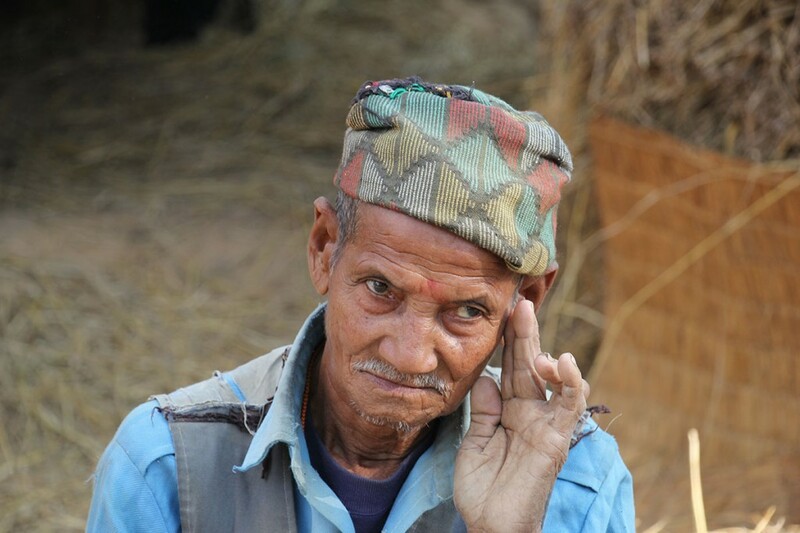 All inclusive trek costs; accommodation for one night in Nepalgunj at a three star hotel, all camping equipment, breakfast, lunch, dinner, flights and other transportation, trekking and park permit fees, guide and necessary porters and all their costs such as transportation, accommodation, food, equipment, insurance etc. 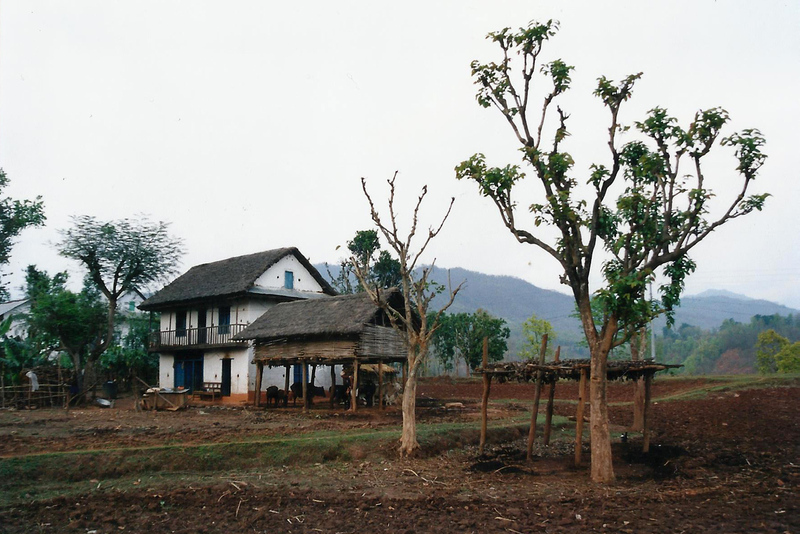 Day 10 – Photograph Did You Say?